After having worked three years in maintenance at SNCF, Pierre observed that it had not yet turned digital, and that maintenance interventions could be highly optimized thanks to mobile solutions. 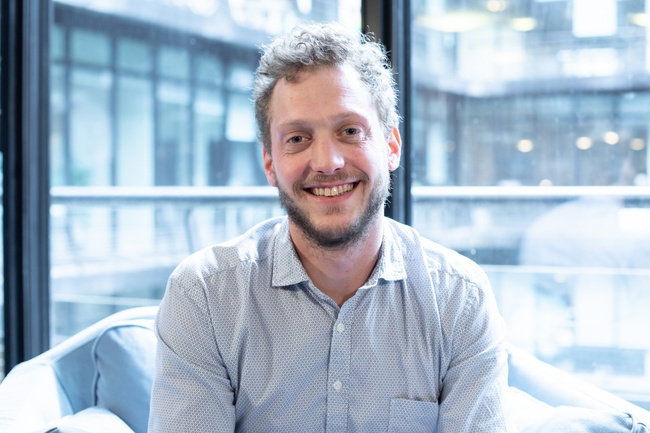 He decided to go on an entrepreneurial adventure with his brother Christophe Joly and his friend Victor Payan, to address an obvious need : digitalizing maintenance procedures. Ermeo was born in 2015 ! Pierre loves to tinker and aims to take part in the badminton world championships soon ! After working in brand development in the fast food sector for 8 years, Christophe decided to start his own company along with his brother Pierre, and a friend of his, Victor. Ermeo was born ! He is passionate about sales, and at Ermeo he is in charge of the commercial team. Christophe is also a genuine pizza addict and a boat enthusiast : he lives on his own boat and aspires to, one day, take part in the Route du Rhum ! 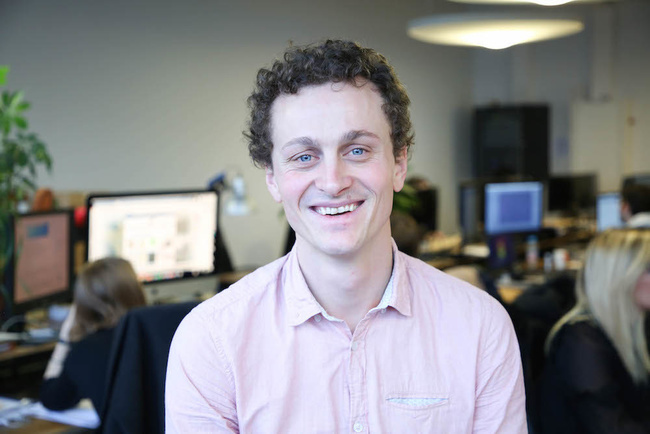 Jonathan began to build website at 14 years old just for fun. And then the fun overrided his work and he decided to do it as a job. He learns all his developer skills on internet and continue to improve it everyday. He loves to learn new stuff and find new method for a better development and performance ! Jonathan is also a well-known cook at Ermeo and masters all kind of pastries ! Mélanie is freshly graduated from a Finance Management Masters. She has done her Master 1’s internship as a purchasing manager. After her last year of studies, she did her internship in Business Development and Investor Relations. She then decided to keep working at Ermeo as a Business Developer, under a permanent contract, and is in charge of developing the Facility Management sector. Mélanie is passionate about nature and ecology and loves travelling to discover new cultures. 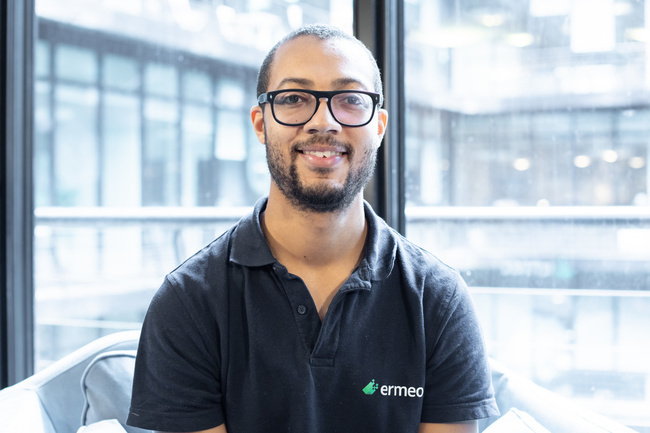 Before joining Ermeo, Mickael studied Computer and Networks for Industry and Services. He took his first steps in the professional world by doing a 6 month placement as a system and network Administrator. He joins Ermeo at its beginnings, early 2015, as part of a block-release training studying for a Connected Object Mobility Masters that will last 3 years. 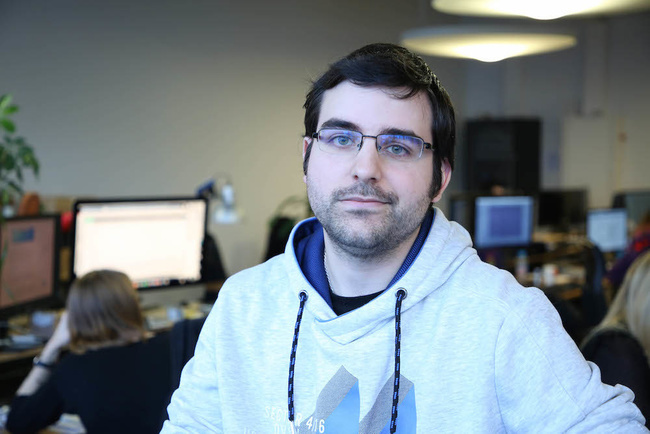 Today, he is Dev Full stack at Ermeo and everyone knows him ! He loves music, reading, new technologies, and plays Airsoft. 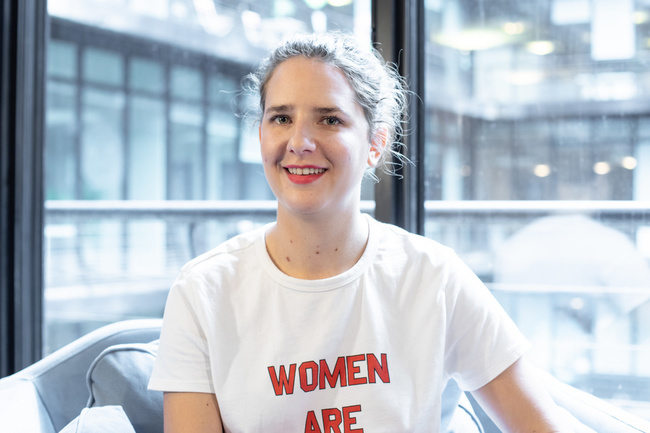 Specialized in New Technologies Projects Management, Lisa worked in Paris as a Delivery Project Manager within HP Software and then in Bristol (UK) as a project management consultant for Airbus. 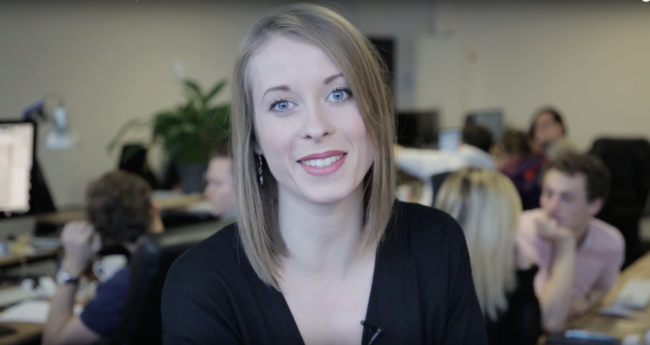 Mixing her 2 interests (new technologies + industry sector) she then decided to move back to France early 2018 and start a new challenge in Ermeo as Customer Success Manager. Lisa is a globetrotter always planning her next trips and a passionate tea-drinker.